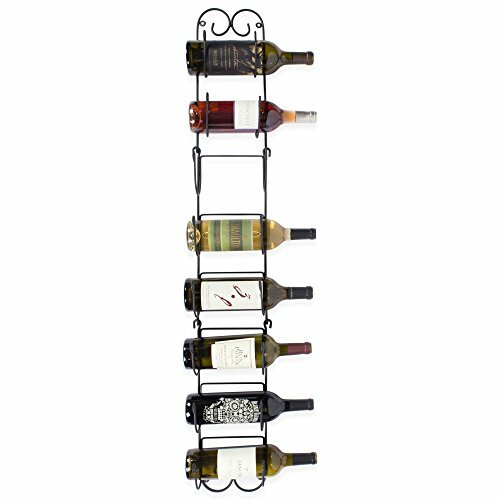 This wine rack will allow you to beautifully display wine bottles, towels, blankets and anything else you can think of. The pieces are easy to put together so you can easily hang on your wall. Buy multiple hanging wine racks to create a trendy, fun, creative set of pieces on your wall. The large wine rack holder has 3 sections and the smaller wine rack holder has 2 sections. Easily breaks down and sets up. If using with towels with is a great solution for a smaller bathroom. This piece can be used in an entry way, wine cellar, dining room, kitchen, bathroom, laundry room and more. Get as creative as possible with these racks. Constructed of strengthened, high quality metal that is not easily bent. Powder coated metal is sturdy and easily mounted. Mounting hardware is included. If you have any questions about this product by Home Traditions, contact us by completing and submitting the form below. If you are looking for a specif part number, please include it with your message.